The U.S.-based carrier National Air Cargo (NACI) which operates with a fleet of four B747 freighters has been in Chapter 11 bankruptcy protection for the past three years. Now it seems that the airline will finally emerge from Chapter 11. NACI states that the U.S. Bankruptcy Court in Buffalo, N.Y. has approved their so called debt-repayment plan whereby it is foreseen that National can pay back at least 60% of their debts which had reached a total of US$12.4 million. The documentation presented to the court apparently show that NACI will raise the necessary money by selling four Rolls-Royce Trent engines for US$1.4 million as well as monies gained by the carrier from a US$4 million insurance payout. National Air Cargo belongs to the National Air Cargo Holdings Inc. which is also owner of Florida-based National Airlines. The Belgian Customs and Excise Administration introduced a ‘Z Backscanner Van’ at Brussels Airport. 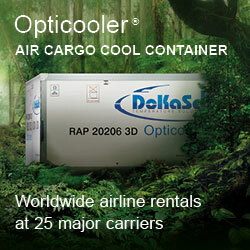 Its technology allows for the scanning of aircraft, containers and vehicles in a speedy manner. The scanner will be particularly used to detect contraband cigarettes as well as narcotics. This hi-tech scanner also allows for fast and efficient targeted checks, which can ensure a more rapid processing of goods, saving time for operators. The compact size of the scanning van allows customs officials to carry out scans in tight areas. Scanning is effected by the van just driving around the pinpointed area and recording the contents of what is filmed. Belgian Customs also operate the same kind of vehicle in the Port of Antwerp. 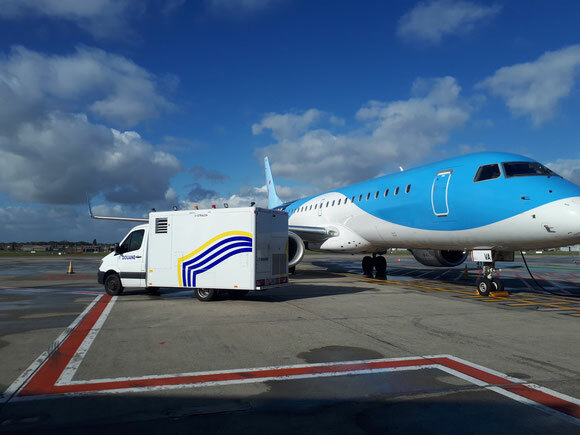 The specialists for urgent transport delivery and Special Speed Logistics, time:matters, have opened a ‘Sameday Air’ station in Tel Aviv. This is the company’s first Sameday office outside of time:matters’ European network which already has over 100 of these stations in operation. The decision to open in Tel Aviv was taken due to the numerous companies located there who are dealing in high-tech and semicom products as well as electronics, medical systems, telecommunications and agricultural technology. LH Cargo subsidiary time:matters sees good opportunities in Tel Aviv and has started the service now for export shipments from the airport to Frankfurt, Munich and Vienna. Shipments weighing up to 38 kilograms can be accepted on a total of 90 direct weekly connections from TLV. Clients using the service can request direct online quotes as well as being able to track their shipments by hooking into the booking portal of the company. Another top month for aircargo has been reported by IATA and WorldACD during the past couple of weeks. It seems that there is no stopping the air cargo upward trend. Cargo turnover for October of this year has far exceeded that of the previous year. It is noticeable that revenues have also increased and yields are getting better. Whether the rise in yields will hold for the next six months remains to be seen. Capacity on offer is at an all-time shortage and this basically gives carriers the opportunity to “pick-and-chose” on various sectors. However, it is hard to determine whether actual yields are showing a healthy and stable growth for airlines. WorldACD points out that fuel is relatively stable, although more expensive than at the beginning of the year, but almost half of that what it cost in the crisis years from 2010 to 2014. Year-on-year growth for the air cargo industry remains well above the 5% mark and it is expected that the November figures will be just as good, if not much higher. 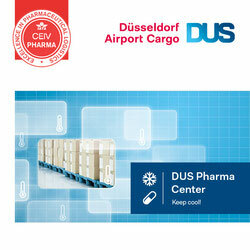 The pharma industry is now one of the main contributors to the rise in air cargo volumes. So far this year, pharma products moved by air have increased by over 30%. High-tech and other vulnerable cargo volumes went up over 11% y-o-y. IAG Cargo has made some changes in their executive management structure during the past couple of weeks. David Shepherd, until now IAG Cargo’s Commercial Director, moves to the newly created position of Director Digital Ventures. David will be replaced by Camilo Garcia who is a long serving member of the IAG Cargo team. Another new position has been created in the IAG Cargo set-up. That of Director of Worldwide Operations. This position will be headed by Lynn McClelland who will have overall accountability for global operations with the exception of Spain. IAG Cargo’s CEO, Lynne Embleton stated that the new Director of Digital Ventures position which Dave Sheperd steps into has been created in order to be in a position to take strategic action in response to the opportunities that technology can bring to IAG Cargo. 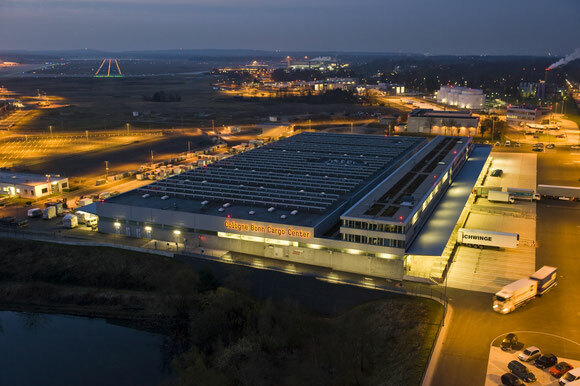 The Elbe Flugzeugwerk (EFW) which has its main base in Dresden, Germany has now received the European Aviation Safety (EASA) certification for their Airbus A330-300P2F programme. The conversion programme is a joint venture between EFW, ST Aerospace and Airbus. The conversion specialist sees a healthy demand in the coming years for the A330 passenger to freighter conversion. This new move follows on their already in progress A330-200P2F conversion set-up. The first -300F aircraft goes to DHL Express when finished, who in turn will hand it over to ASL Airlines Ireland to be operated for DHL on a so called CMI lease. DHL has ordered a total of eight A330-300P2Fs from EFW. Seoul-headquartered Air Incheon which presently operates with a fleet of two B737-400 freighters, with a third to be added shortly, has made a deal with the U.S.-based Air Transport Services Group (ATSG) lease in a converted B767-300F aircraft as well as an option for a second aircraft of the type. Air Incheon will receive the aircraft from ATSG’s Irish ATSG West Leasing Limited by the end of the first quarter 2018. The second B767F is expected to follow later on in 2018. On top of this, the carrier will also take over a total of three B737-800 converted freighters from Spectre Air Capital. Air freight tonnage increased 7 percent last month, totaling 79,703 tons, making it the best November ever. "In light of the current major changes as a result of the Air Berlin bankruptcy, the latest growth figures, are extremely gratifying,” stated Cologne-Bonn Airport CEO Michael Garvens. In both business segments, passenger traffic and cargo throughput, Cologne will reach the growth targets set for the current year, assured the manager, referring to the forecasted 12.2 million passengers and 830,000 tons of cargo before 2017 draws to a close. The air freight growth is mostly attributable to the package delivery companies UPS, FedEx and DHL. It is the integrators who play a dominant role at CGN and the buoyant economic situation in combination with the Christmas peak. These factors have led to the strong volume increases reported by the CGN management.